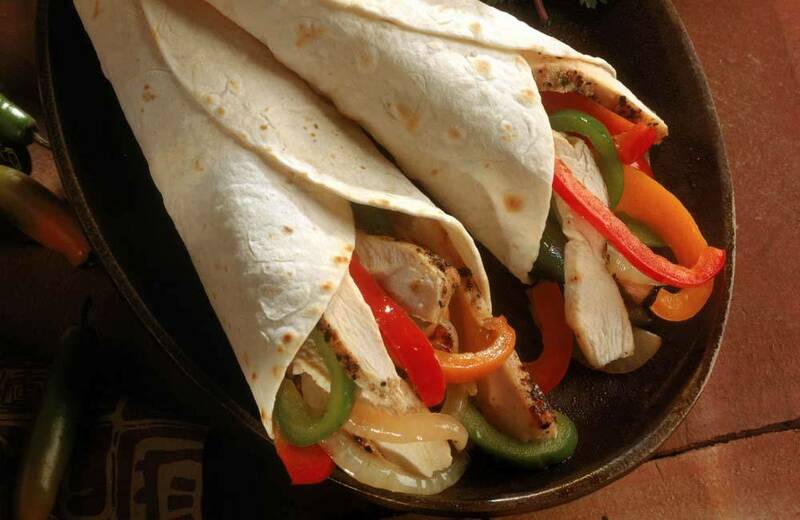 Chicken fajitas + 4 other kid-friendly dinners for your week. I used to spend all afternoon preparing dinner for my family. I’d start thinking about it at lunch time, lovingly selecting which meat to defrost, the vegetables I’d serve with it and how I’d ‘plate it up’. Nowadays, this only happens on Fridays and Sundays so I tend to cook huge batches of certain foods to see us through the week. On Fridays and Sundays I chop and package portions of meat, fish and chicken, I organise vegetables in order of which are likely to wilt first and I cook and freeze giant batches of spaghetti sauce and pizza dough. It’s made a huge difference. Here are the 5 kid-friendly dinners we’ll be eating this week. Once again, they are easy to serve up in different variations to cater for particular preferences (and stubborn refusals). Enjoy! I LOVE Mexican food but not too spicy, which suits the kids. They’ll eat anything in a wrap and the beauty of this dish is that you can add whichever vegetables each child is likely to eat, then pile everything onto your own. Gnocchi isn’t really that hard to make. All you do is blend mashed potato with plain flour, roll the dough into long, thin pieces and then cut them at around 2 cm each. You then cook them in boiling, salted water until they all float to the surface (around 3 minutes), drain and add any sauce you like. You can even buy them pre-made. This is a bit of a fancy variation and once your kids try these, they’ll be hooked. You can even call them “Mashed Potato Pasta”. 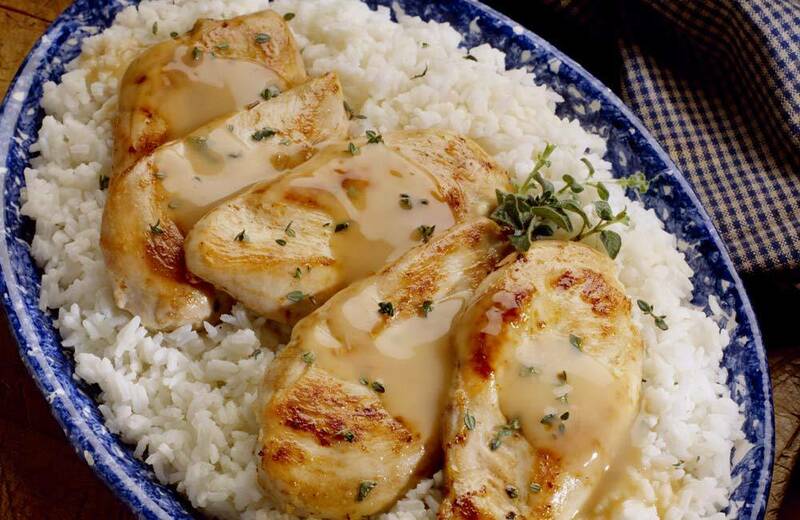 The trick with this dish is to serve it with rice AND let your kids pour on their own sauce. They love having some sort of control over their meals and how much sauce to add, where to add it (on the top, on the side) is a big deal, especially for fussy eaters. Crispy chicken! Always a winner and serve it with mashed potato (which has cauliflower hidden in it) or baked hot chips you’ve made yourself (soak the cut chips in hot water before baking for extra crispiness). You don’t have to serve it with sauce. 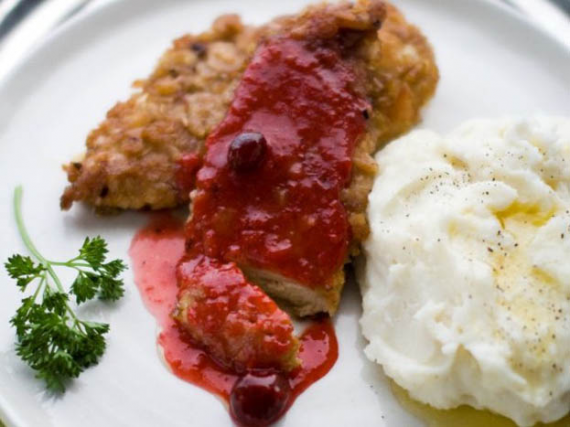 My kids prefer tomato sauce (gasp) and you can save the fancy-schmancy cranberry sauce for the grown ups. Don’t worry, my kids don’t eat ‘green bits’ either. When I make this soup I don’t add the parsley until later, or the pepper. I make the soup, serve the kids, then add parsley and pepper. 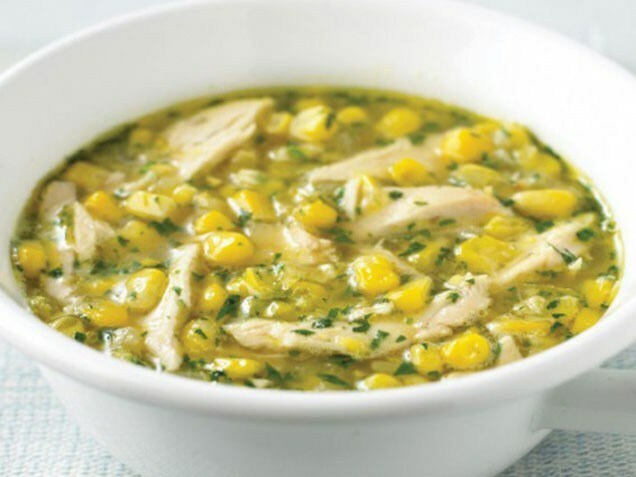 Corn makes healthy and delicious foods more enjoyable for kids. Show me a child you doesn’t like corn… actually, I’m sure they’re out there.